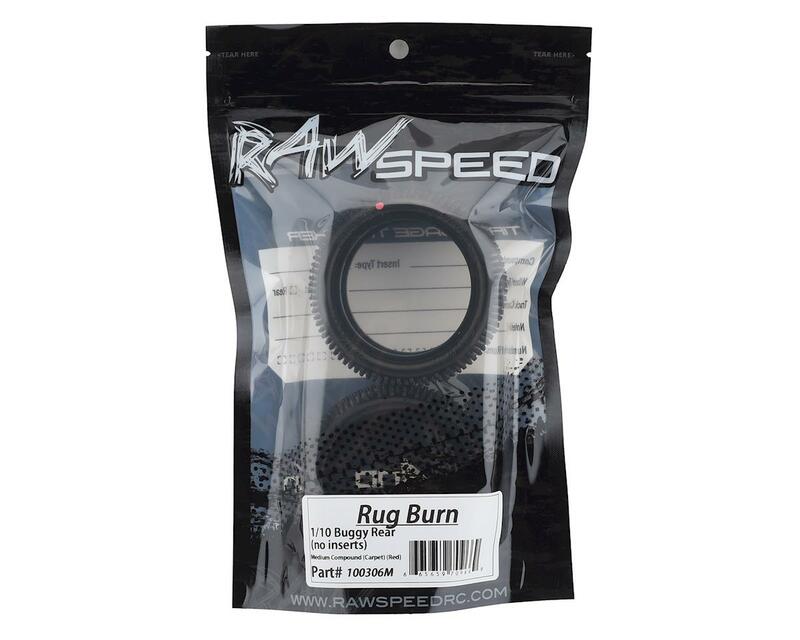 This is a pack of two Raw Speed RC Rug Burn Carpet 2.2" Rear Buggy Tires. Low profile sidewall for increased response and positive handling. 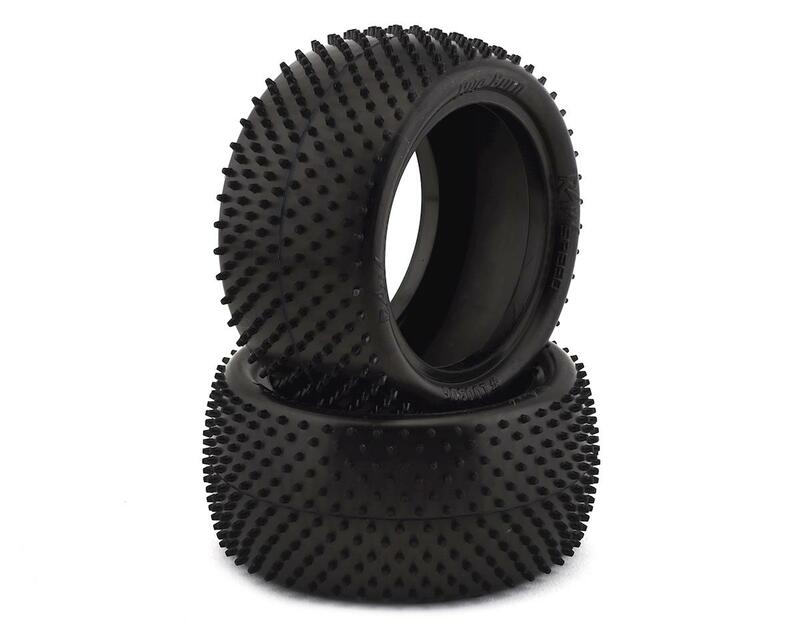 Denser tread pattern for better grip and wear characteristics. NOTE: These tires do not include inserts.